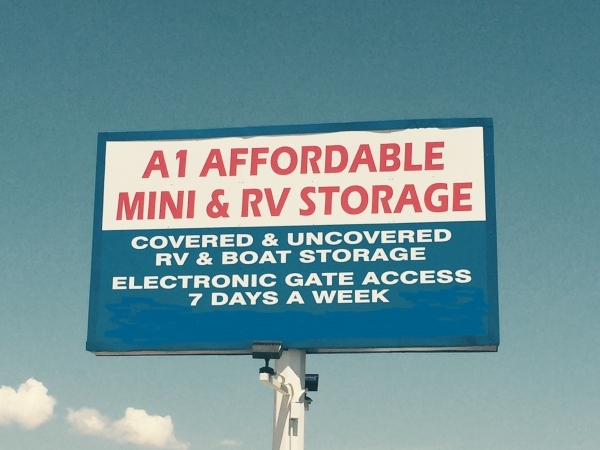 A-1 Affordable Mini & RV Storage is proud to serve the Camp Verde, AZ and the surrounding communities of the Verde Valley including: Cottonwood, Sedona, Cornville, Rimrock, Page Springs & Lake Montezuma AZ. Located on Hwy 260 across from the Out of Africa Park, we are dedicated to providing you with the best in self storage and RV storage. With our free dump station. 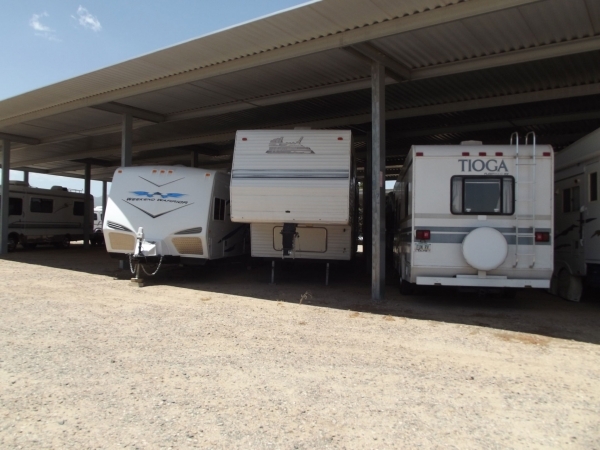 wash rack and on-site service center, we make it easy to prepare your RV for storage under one of our covered/uncovered spaces. Our state-of-the-art storage facility provides easy truck access and turn around through our electronic gate and drive-up access to your storage unit or warehouse space. Our friendly and professional resident managers can't wait to offer you the best deal available in mini storage. 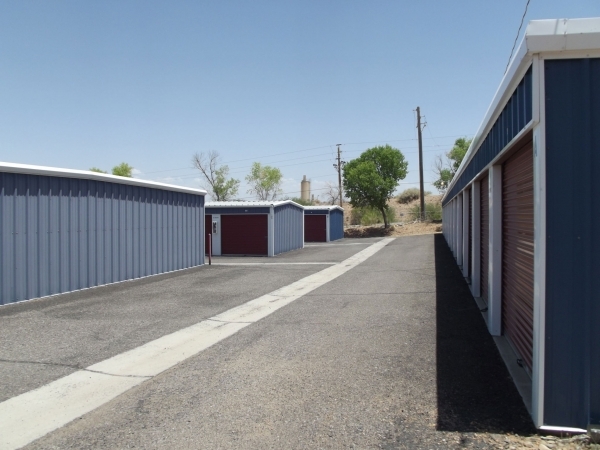 Having packing supplies and moving boxes in stock makes A-1 Affordable Mini & RV Storage your one-stop shop for your storage solutions. We look forward to hearing from you. Please note that this facility requires purchase of renter's insurance for $9 per month. Thank you Paul. We have worked outdoors continuously for 12 months now. New gravel has gone down with slightly more in the next couple of months. Weeds are finally under control. Thank you Danny. The entrance off Hwy260 will be done by the company working on widening the highway, hopefully this year. Outside electrical is extremely costly and very dangerous for garage units. The dust is something that all storage facilities have to deal with, so far, no one has invented an outside door that would eliminate the dust in Arizona. We're always working on improvements and thank you for your input. The property has improved greatly in the past 12 months. There hasn't been a "new owner" since at least 2010. We hope you see the difference. We've been parking our RV here for 11 years and not much has changed or improved except the owners/managers. With each new owner comes a price increase"...do to rising costs..." having Frenchs RV repair on site has been a plus Dan & April are very helpful. Nice people with a nice facility. This is a very nice facility. It is very clean and well maintained. The people who work here are very kind and friendly. They send courtesy emails when your rent is due as well as have drawings for people to win a free month. I was referred by a friend of mine and she received a check for $25 for the referral. Great location, helpful staff and competitive pricing. A great safe, clean and secure place for storage. Very helpful on-site staff. Office staff is friendly and helpful, great location when heading North and right off the highway! 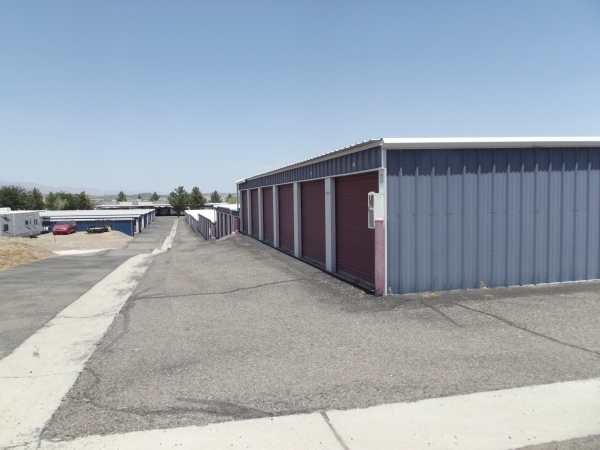 Facility grounds are clean and secure, we love storing our Fifth Wheel here much better then in Phoenix due to spacious areas for parking your unit. Very secure facility and good access to my unit in section F.
There are 4 improvements that could be made. First, the entrance off of the highway is extremely rough and somewhat dangerous and should be made your first priority. 2nd, the closing time of 7 PM needs to be extended a min. of 1-2 hrs. 3rd, it would be great if there were an outside outlet at least every 8 units for your patrons to use (rather dark inside). 4th, the doors allow too much dust to enter the units. I hope you take my comments as constructive to make it a premier facility. Overall good facility and location could use a bit of a clean up and leveling gravel. Without a doubt the best storage facility I've ever had or heard of! I've been a renter for a long time, still am cuz I had to move out of state. The customer service and appreciation is absolutely pheonomial! Every time I talk to anybody, they are always very respectful. I couldn't be happier with the respect and professionalism y'all have. I really appreciate the care and professionalism y'all show every time I contact y'all. Thank you much. Keep my RV there and love the easy access from I-17. 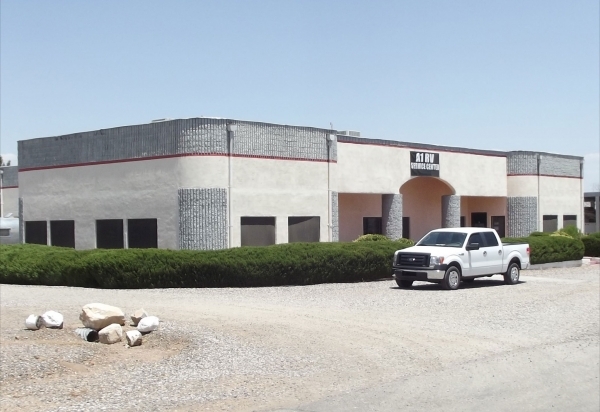 Office staff and RV store and mechanics are always friendly and eager to help. Gates hours are 7am-7pm 7 days a week which I find very accommodating. Clean and easily accessed. Sites leave enough room for easy manuevering. Sometimes I have problems with the online pay. Takes a while for it to come up and process. Best customer service. It feels like storing my Camper Trailer at a friend's house. It's great having my camper in Camp Verde rather than hauling up the hill. Great security, actually super super secure, and spacious rental units. Not like a security place where you can send any friend to pick some items up for you and mail them to you. 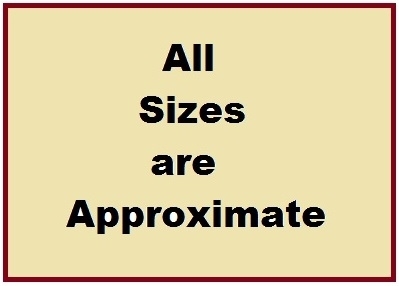 Only you or your designated person added to the account at the time you created it can enter. Nice to know things will generally be safe and if there are any account questions, can always call and get help! Customer service is excellent. Our experience with A-! has been positive. 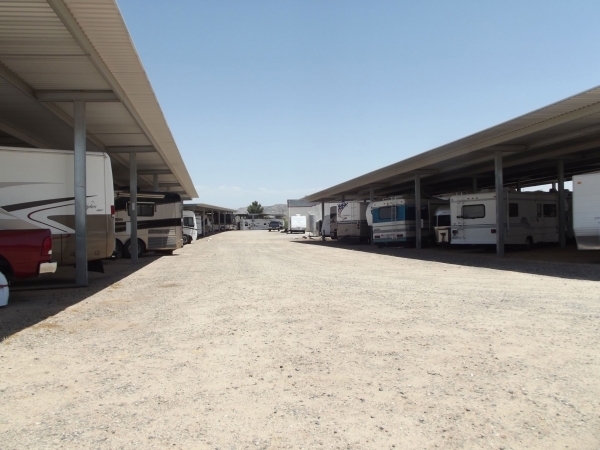 Good facility with rv service center on property. Hours of accessibility could be a little later into the evenings. A back gate allowing entry and exit via the stop light would make it safer for rv's to enter and exit the highway 260. Reasonable rates, very clean unit, wonderful customer service! They have been so kind and helpful in making sure that everything was just right. I just bought a new RV and due to a work assignment had to store it for several months. The facility is well taken care of and is secured. I feel very good about leaving my "home on the road" there knowing it is safe and well taken care of. The Managers were very helpful and friendly and live on the premises. 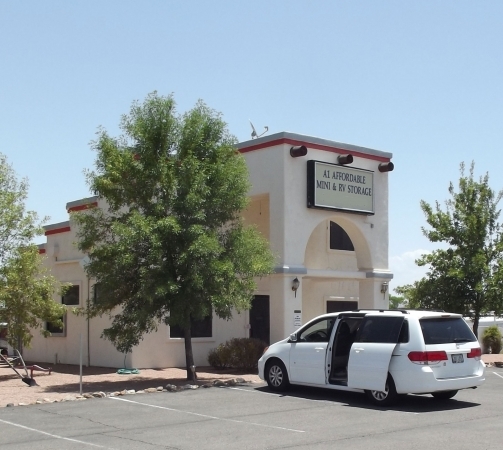 The location is so convenient as it is right off interstate 17. I have misc. items stored at another facility in Prescott and once I return to AZ will move my things to A-1. Great customer service! Really nice to have the office open on weekends! Yay!